Ava is a beautifully reserved Chinoiserie design with a fresh, contemporary air. 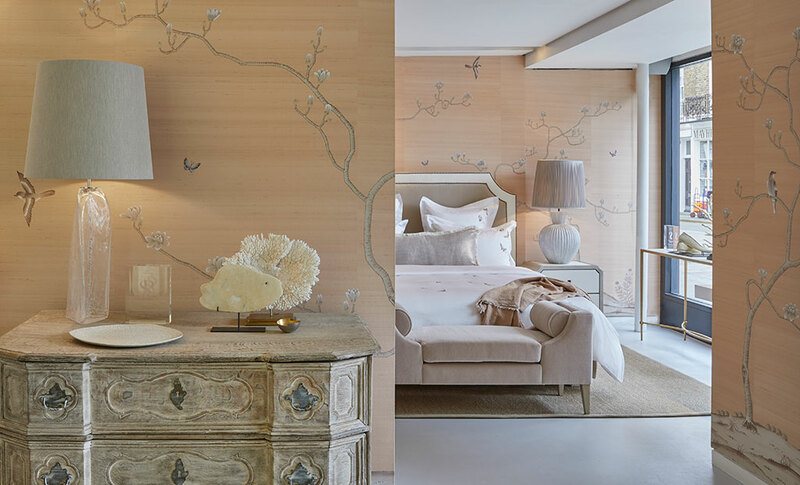 Hand-painted delicate butterflies and birds flutter effortlessly amongst the minimalist trees. Ava is the perfect choice for a subtle and elegant backdrop in any room.